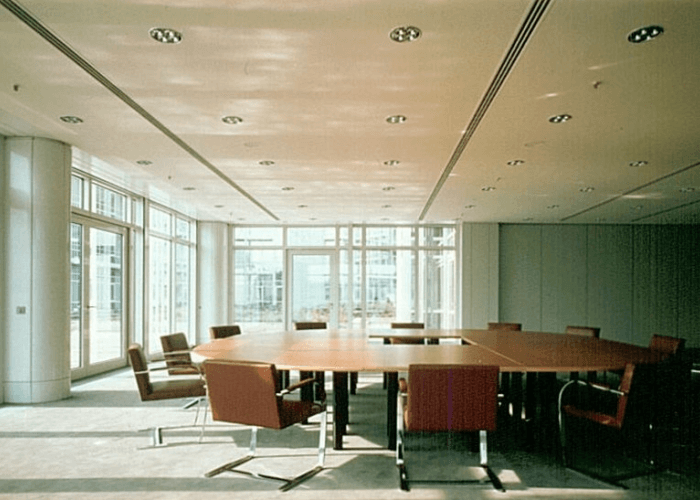 LDB linear diffusers with variable setting options supply fresh air to rooms in optimum manner and thus ensure a pleasant room climate. 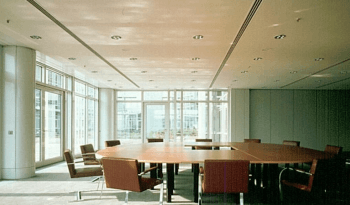 LDB linear diffusers feature many advantages. 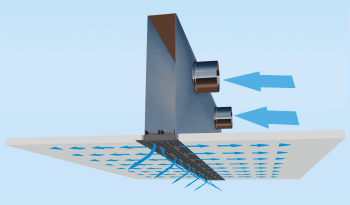 They offer a high degree of thermal comfort due to rapid mixing of supplied air and room air by highly inductive individual jets and a consistent and optimum flow of fresh air through the room. They are quiet, since an inner contour of the outlet elements with optimised fluid dynamics ensures almost silent distribution of the air. 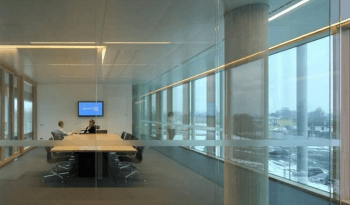 They offer high flexibility due to roller settings that can be subsequently adapted to individual local conditions, and they can be integrated perfectly into ceilings thanks to the wide selection of edge sections and numbers of slot rows. Thanks to the limitless possibilities for design, colour and surface finish, they also meet the highest standards visually. 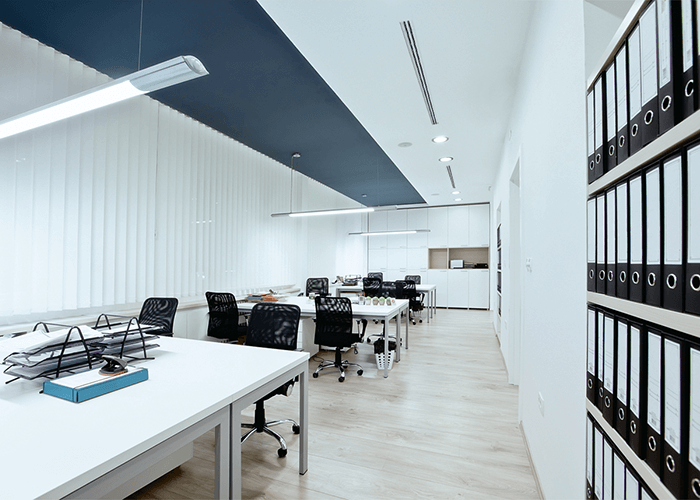 LDB linear diffusers with variable setting options supply fresh air to rooms in optimum manner and thus ensure a pleasant room climate. 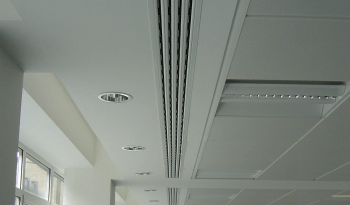 Their slender design makes them particularly suitable for ventilation/air extraction over longer distances, for installation in suspended ceiling systems, for attachment to light fittings or for integration into architectonic ceiling structures. 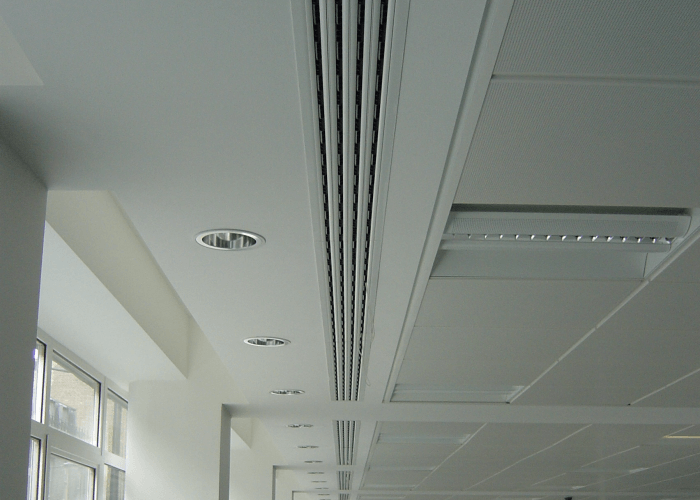 Linear air diffusers for floor Installation like LTG's LDU and LDU-W(H) heat and cool rooms comfortably and draught-free. 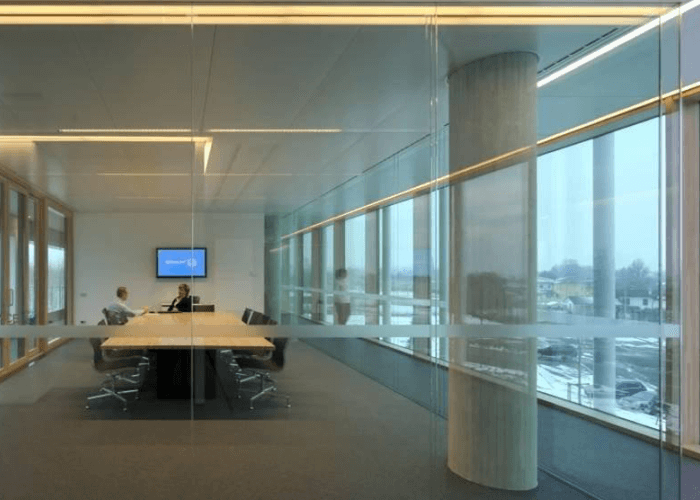 Their application fields are versatile: from office to living room, from meeting room to hotel room, confined spaces benefit from high thermal and acoustic comfort.